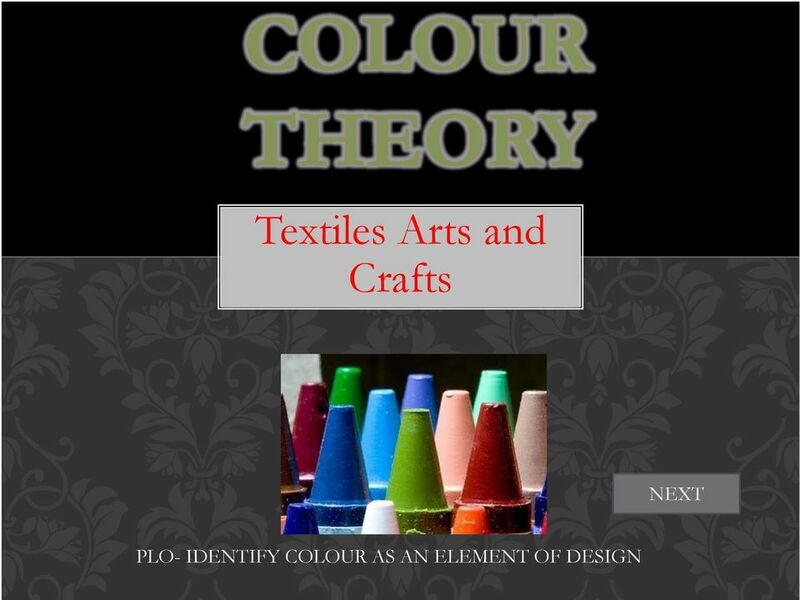 Download "Textiles Arts and Crafts"
3 WHY IS COLOUR SO IMPORTANT? 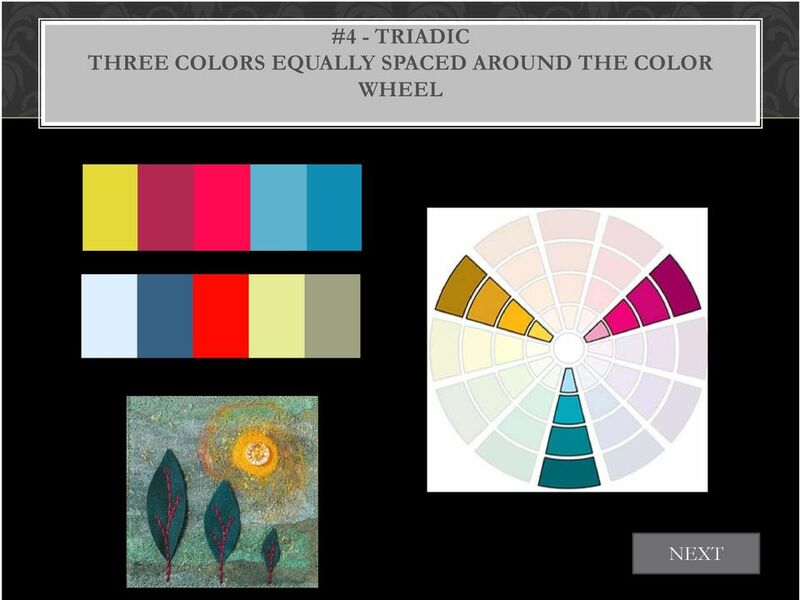 Visual Cohesiveness and Balance Color schemes that hold together well tend to be derived from the color wheel in a way that is logical and almost mathematical in nature. 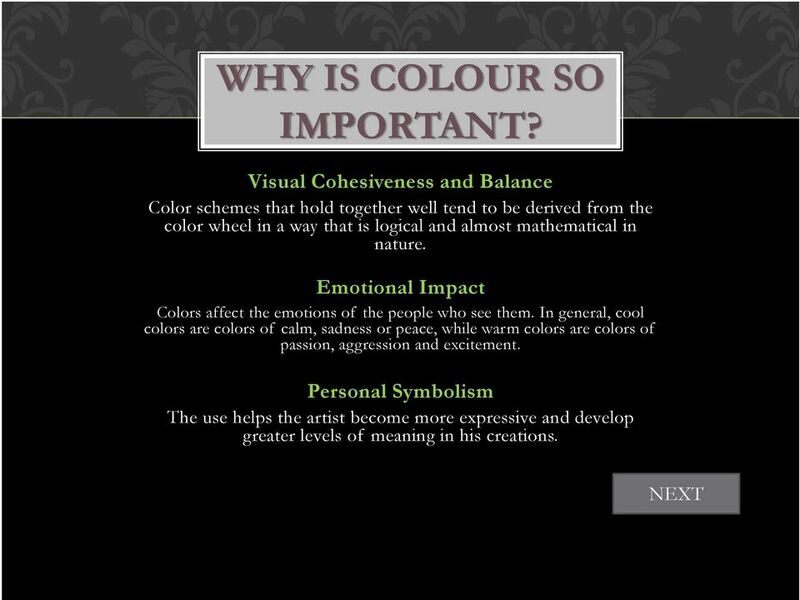 Emotional Impact Colors affect the emotions of the people who see them. 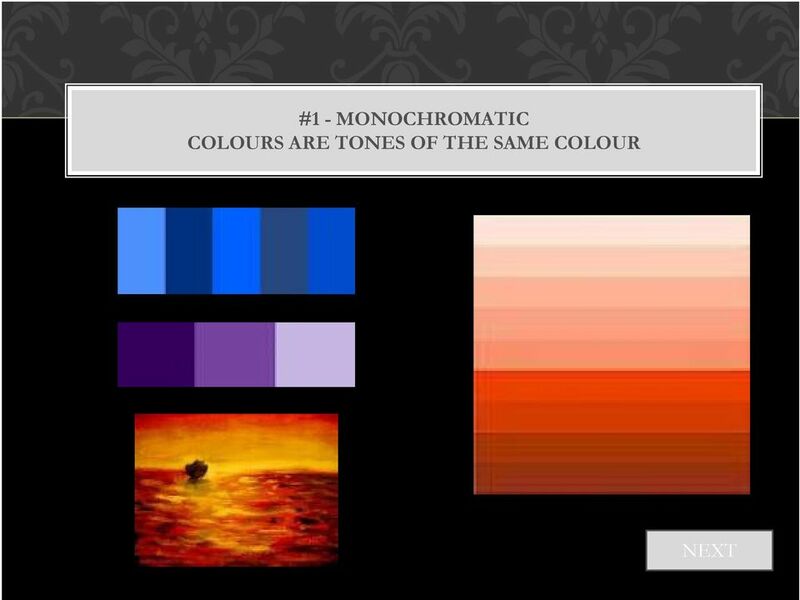 In general, cool colors are colors of calm, sadness or peace, while warm colors are colors of passion, aggression and excitement. 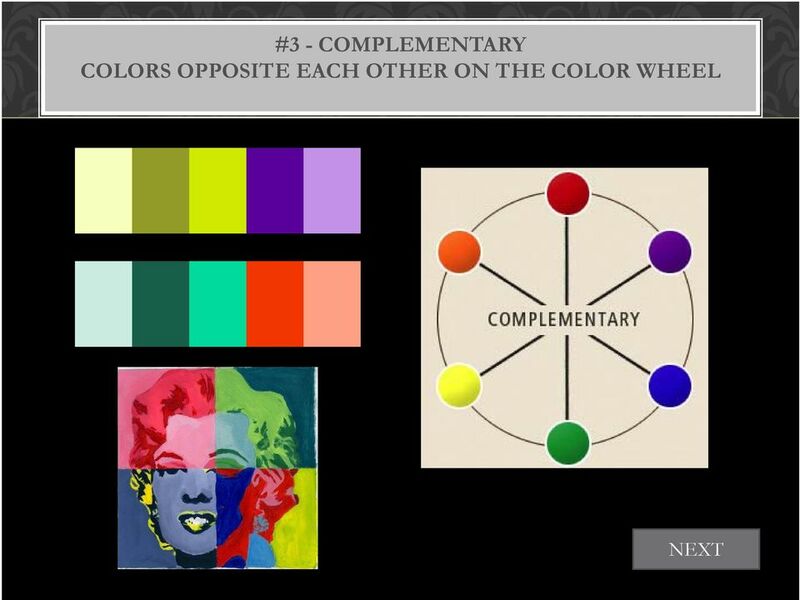 Personal Symbolism The use helps the artist become more expressive and develop greater levels of meaning in his creations. 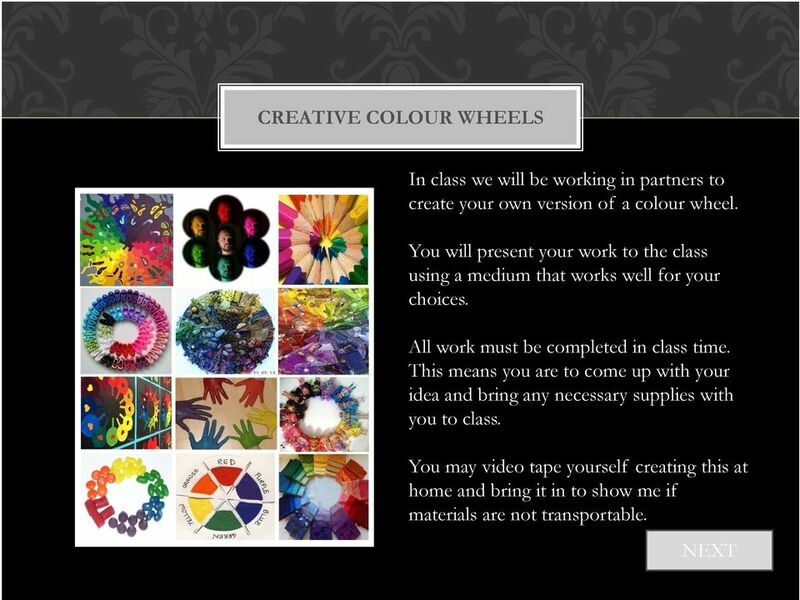 6 CREATIVE COLOUR WHEELS In class we will be working in partners to create your own version of a colour wheel. 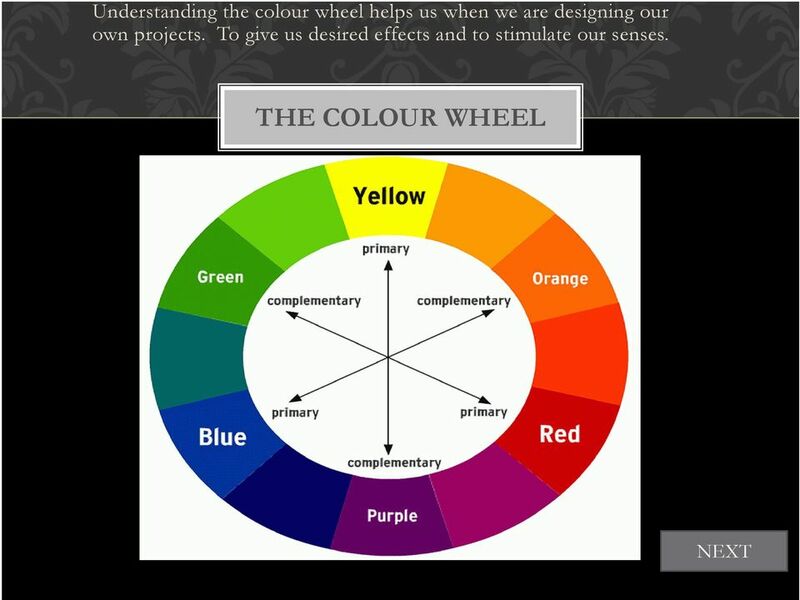 You will present your work to the class using a medium that works well for your choices. 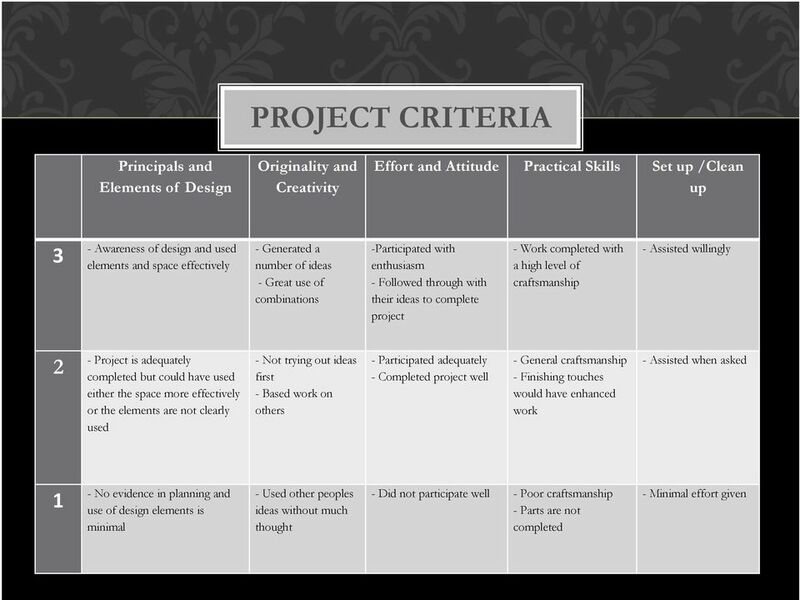 All work must be completed in class time. 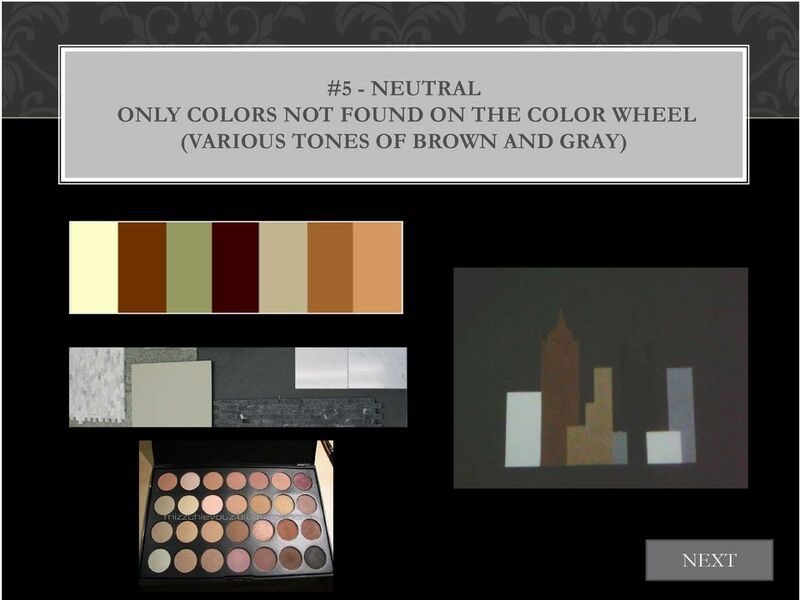 This means you are to come up with your idea and bring any necessary supplies with you to class. 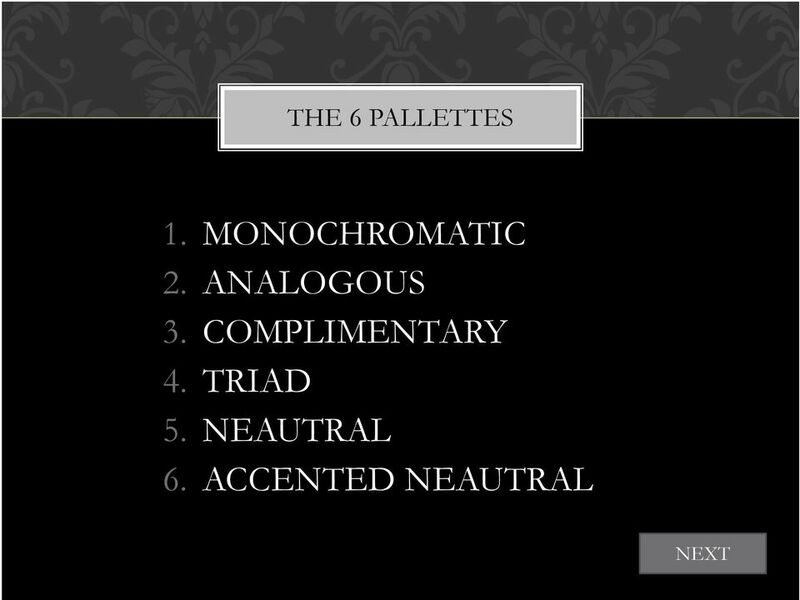 You may video tape yourself creating this at home and bring it in to show me if materials are not transportable. 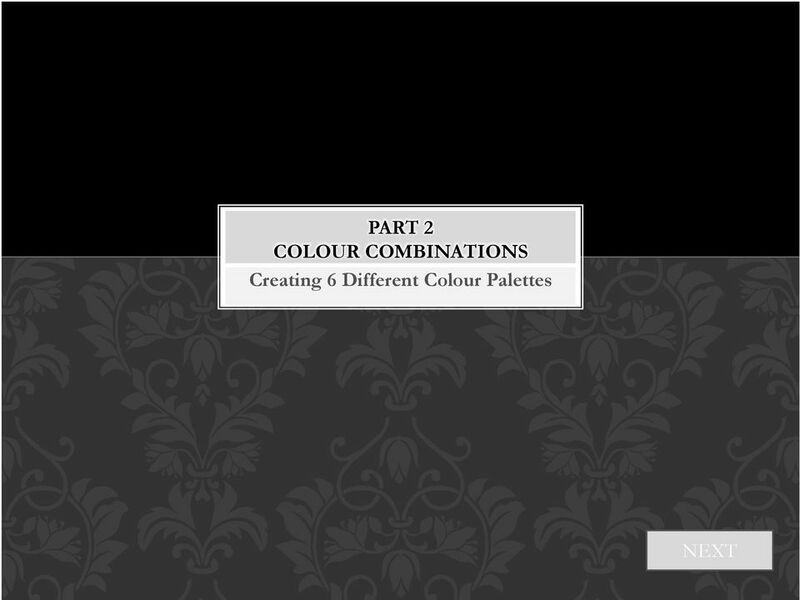 16 CREATE YOUR OWN PATTERNS When you have had your 6 palettes checked by me, you can create one pattern of your own and colour a pattern that is already there. 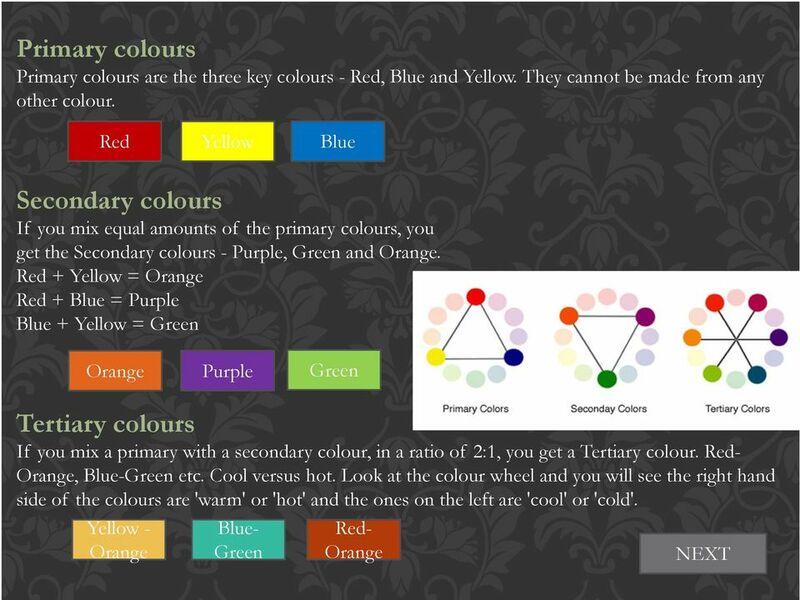 Be sure to add a description for each and remember that this will be published onto the web for all to see. 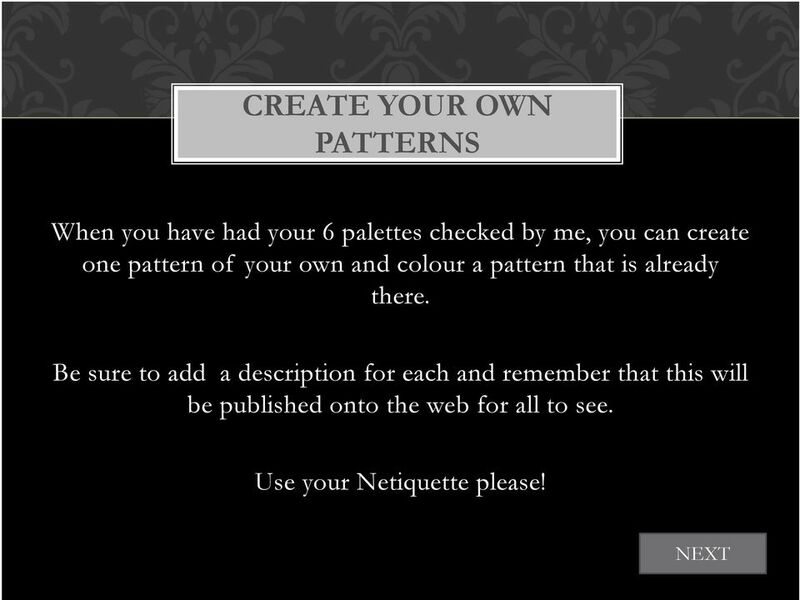 Use your Netiquette please! 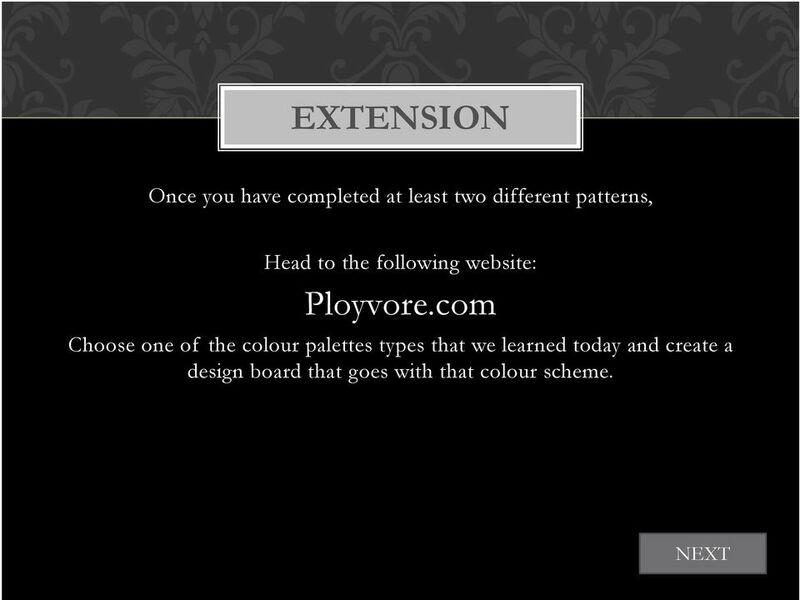 17 EXTENSION Once you have completed at least two different patterns, Head to the following website: Ployvore.com Choose one of the colour palettes types that we learned today and create a design board that goes with that colour scheme. 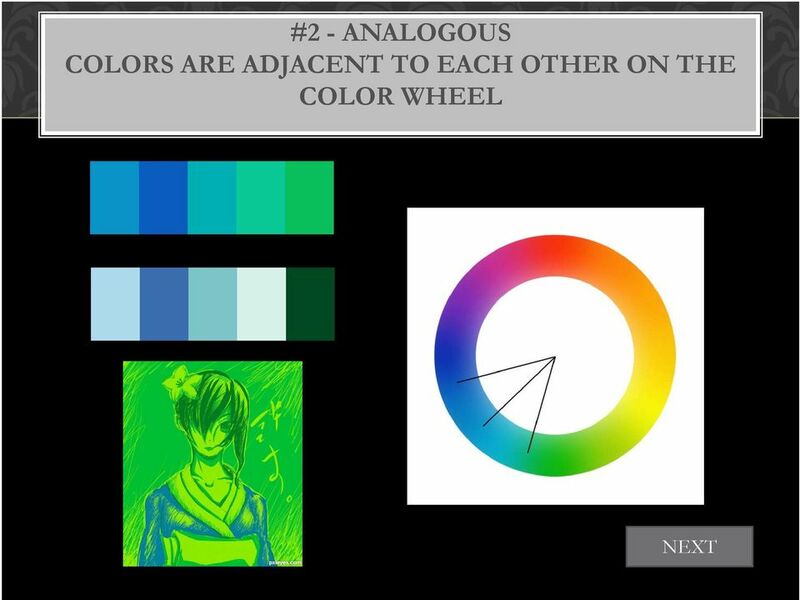 18 FINAL PROJECT So what are we going to do with all this knowledge? 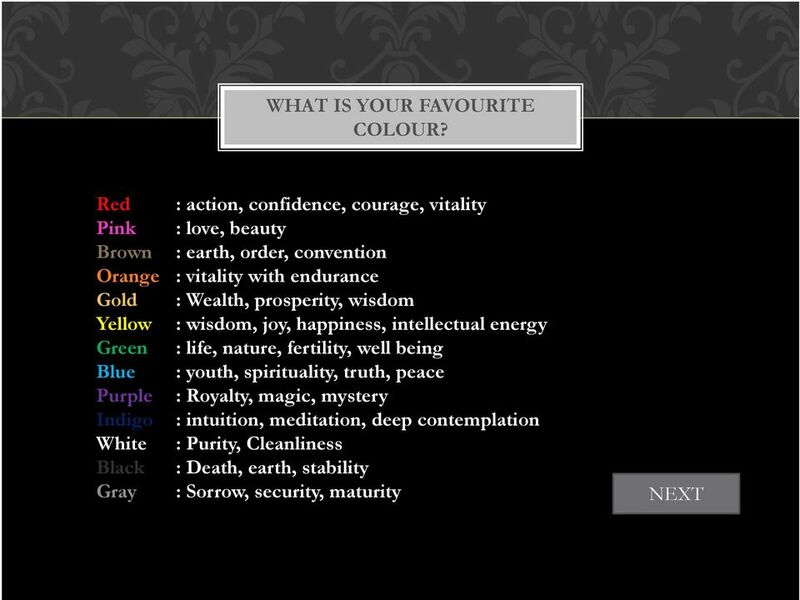 We have learned about colour theory and how it helps us to create designs that are both visually appealing and can create a mood, so now I want you to design your own name card/logo that uses these ideas of design and colour to tell me about yourself. 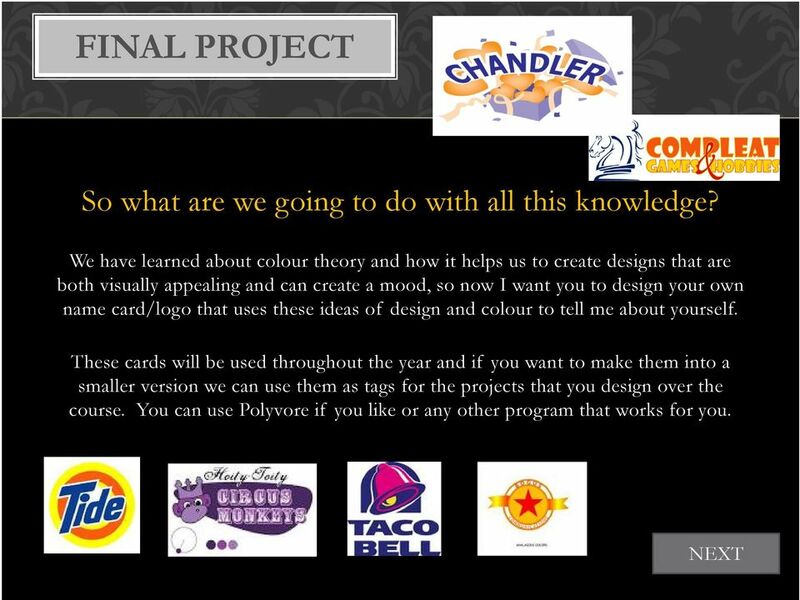 These cards will be used throughout the year and if you want to make them into a smaller version we can use them as tags for the projects that you design over the course. 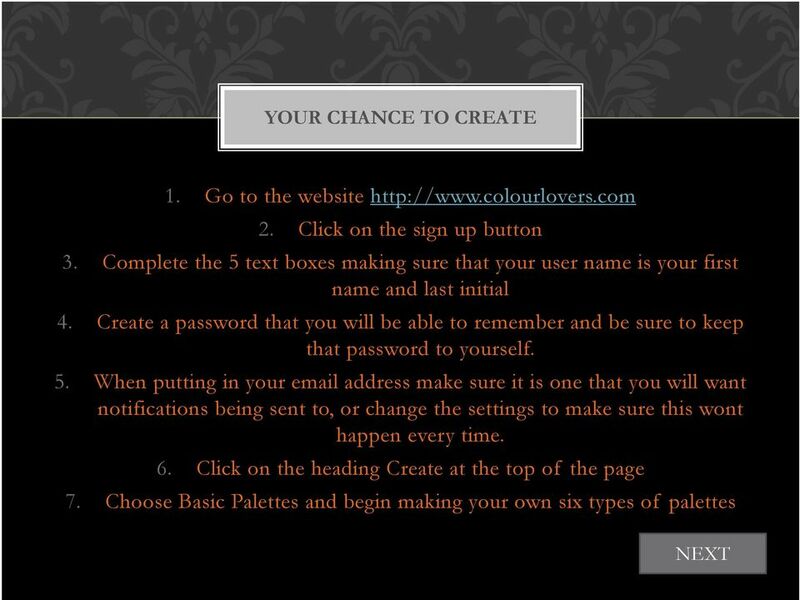 You can use Polyvore if you like or any other program that works for you.